Info U.S. Representative Mark Edward Souder was first elected to Congress in 1994 after working for U.S. Senator Dan Coats (R-IN) for 10 years during Coats' tenure in the House and Senate. 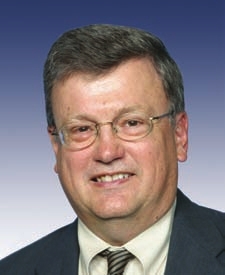 Representative Souder has served as Chairman of the Government Reform Subcommittee on Criminal Justice, Drug Policy and Human Resources since 2001. The Criminal Justice Subcommittee has jurisdiction over the domestic and international anti-drug efforts throughout the federal government, and is the authorizing subcommittee for the Office of National Drug Control Policy. In addition, the panel has oversight of several other agencies, including the White House Office of Faith-Based and Community Initiatives, as well as the Departments of Justice, Education, Health and Human Services, Commerce, and Housing and Urban Development, accounting for approximately 70 percent of the federal budget. In 2002, the subcommittee released a comprehensive 100-page report on our nation�s border security, the first ever such report issued by a congressional committee. Souder�s other Government Reform Committee assignments include the Subcommittees on Census and Civil Service. The congressman also serves on the House Committees on Education and the Workforce, and Natural Resources, with subcommittee assignments pertaining to secondary and higher education and national parks. Souder has been a champion of legislation to make faith-based organizations eligible to receive federal grants to help address cultural problems such as drug addiction, teen pregnancy and gang activity. He is one of Congress�s strongest supporters of our nation�s national parks, monuments and historical sites. During the 106th Congress, the prestigious Congressional Quarterly magazine named Souder one of the four most effective "conservative true believers" in Congress. He and Senator Richard Lugar were highlighted as two of CQ�s Top 50 leaders in the premier edition of the publication�s honorary list. Mark Souder graduated from Leo High School in 1968 and from Indiana University at Fort Wayne in 1972 with a Bachelor of Science degree in business administration. Had he not been elected to Congress, perhaps his most significant achievement would have been his involvement in naming the IPFW "Mastadons" while he was student body president. Souder was one of the founders of the IPFW Alumni Association and one of its first Indiana University alumni presidents. He received an MBA from the University of Notre Dame in 1974, and in 1999 Souder and the three other members of Congress who are Notre Dame graduates were featured in the university�s television ads on NBC during home football games. Mark's family founded Souder's of Grabill in 1907. He is currently managing partner of Historic Souder�s of Grabill, which owns the land and buildings of Souder�s General Store, the Country Shops of Grabill and the Home of Elias Ruff Restaurant. Mark married the former Diane Zimmer of South Bend in 1974. They have three children: Brooke, 24; Nathan, 22; and Zachary, 14. The Souders reside in Fort Wayne where they attend Emmanuel Community Church.